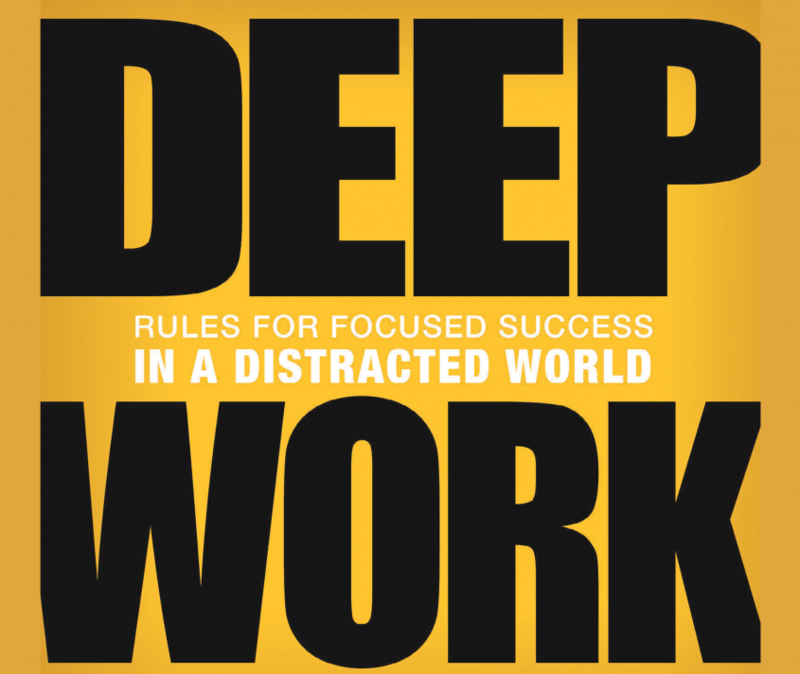 Cal Newport writes about Deep Work, which is defined as professional activities performed in a state of distraction-free concentration that push your cognitive capabilities to their limit. This type of work is extremely valuable as it creates new value, improves your skill, and is hard to replicate. To figure out how deep some task is you should ask yourself how long it would take a college graduate to be able to do the task. Thesis: The ability to perform deep work is becoming increasingly rare at the same time as it is becoming increasingly valuable in our economy. This is going to make the few who cultivate this skill thrive. This idea is similar to the one discussed in Average is Over. Use specific location, which you only use for deep work. Downtime lets you recharge while your subconscious mull things over. Restrict internet use during certain times. Any-benefit mindset is very common in today’s society. With this mindset you are going to adopt all things that have any kind of benefit to your life, without considering their negative effects. Don’t do this, and always examine the potential negative effects thoroughly. Social media use should especially be critically examined. Quantify the depth of every activity and try to reduce your shallow tasks (like email). Have a fixed end time of the work day. Make yourself difficult to reach.